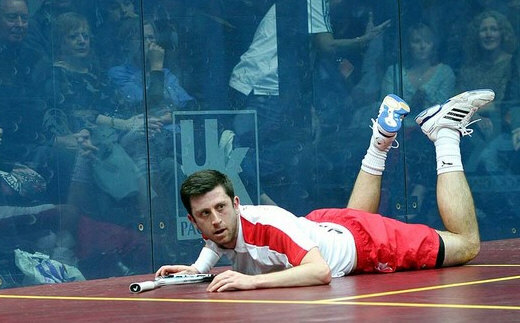 It was never going to be easy between mates Daryl Selby - home boy - and Nick Matthew. 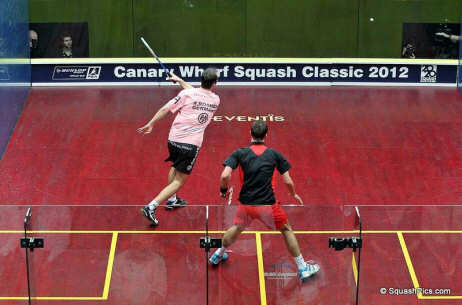 Nick lost three times against Daryl, two quite hard ones to swallow, one from 2/0 up in Kuwait (just back from the Commonwealth Games and three gold medals), and one in the final of the UK Nationals last year. So, Nick is never taking Daryl lightly, and right he is! Cause that was a great match we saw tonight. The first game was the hardest/longest, and finished on a bit of a drama, as Daryl flew to try and get a dying forehand drive, taking Nick's kneecap in the process. It was worrying times for the Matthew camp. Stunning, stunning and again stunning performance from both players in the third match. From Tarek, to give an enormous scare to James (led 7/0, 8/1, 9/3 in the first), and leading 2 game 1 too. And to James to weather the Tarek Storm! 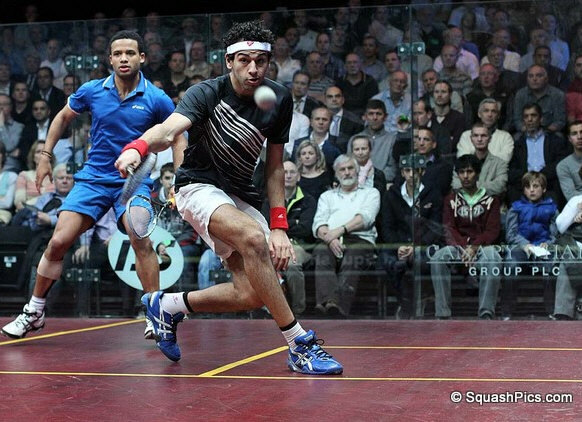 Tarek played a very high percentage game, as he often does, and it worked wonders. At the start of the 5th, a bit of tiredness crept in, too many errors (that comes with the territory of high percentage game) but the Egyptian stormed back at the end. He saved one match ball, 9/10, and although a no let was awarded and match given to James, Tarek reviewed the decision, and got an overturned! 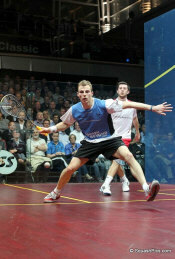 Still, James finally won, 11/9 in the Fifth! 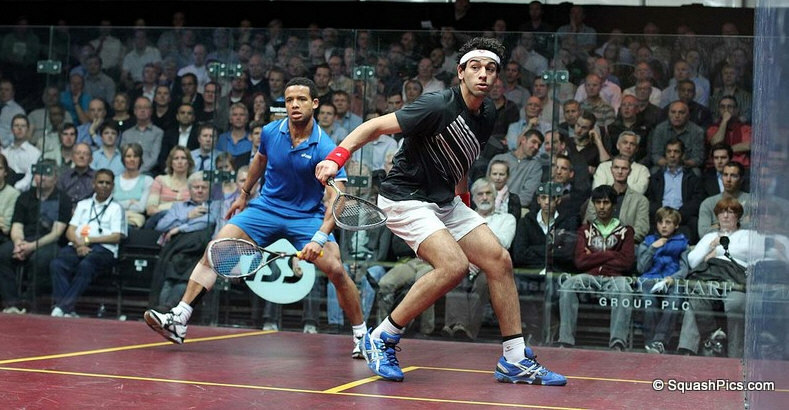 Mohamed El Shorbagy came out of the blocks quickly at the start of the final match, and Adrian Grant struggled to stay with the pace. 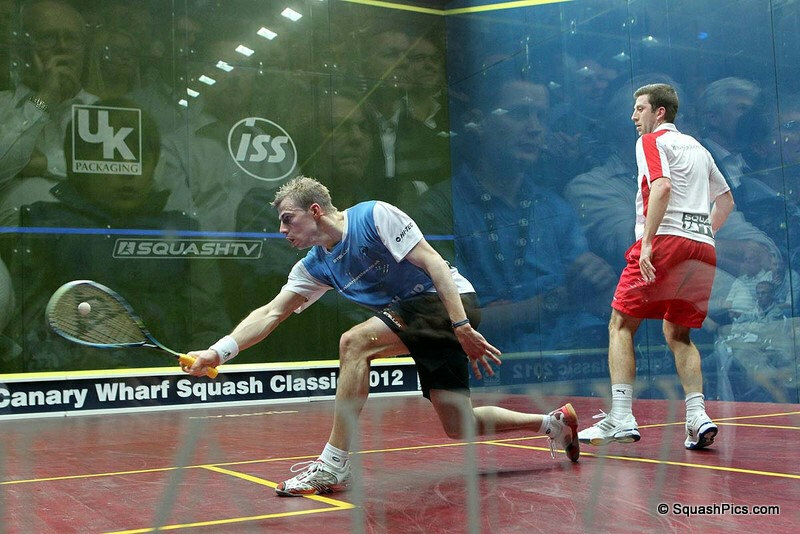 A 10/2 lead in the first was too much, and although the Englishman held his own at the start of the second and third games, Shorbagy wouldn't be held in check for long and he pulled clear in both to claim his place in the semis. 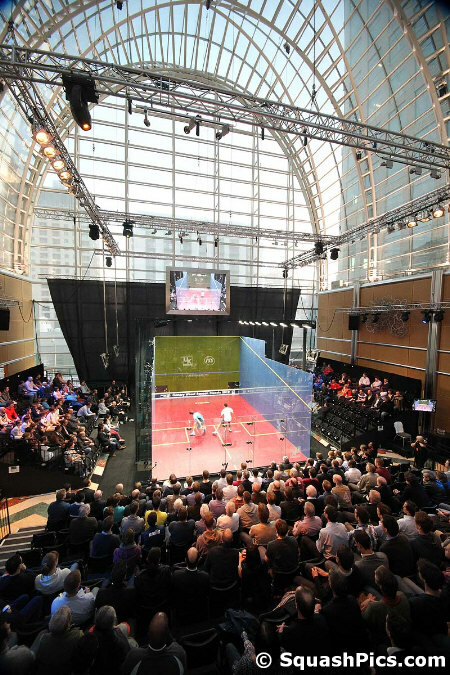 England’s top seeds Nick Matthew and James Willstrop both survived bruising encounters as they moved one step closer another titanic battle in the final of the Canary Wharf Classic. 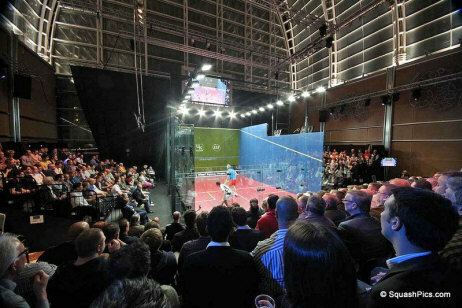 Willstrop won his second five-game marathon in the space of 24 hours as he withstood the dazzling racket skills of Egyptian Tarek Momen to reach the semi-finals of this PSA International 50 tournament. 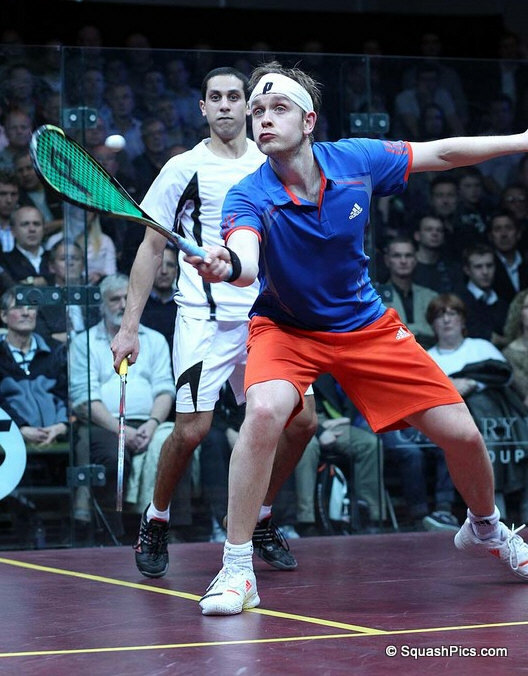 The 24-year-old Momen, who beat Matthew in Qatar last year, played fearless, attacking squash. He raced into a 7-0 lead before Willstrop could settle. 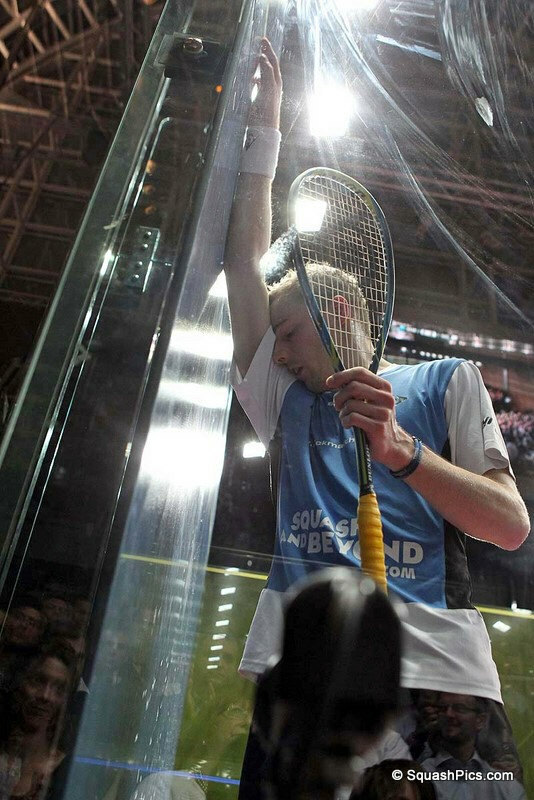 The 6ft 4in world No.1 had endured an 84-minute battle against Indian Saurav Ghosal in the first round the day before and clearly took his time to settle. He lost the opening game 11-6 and although he seemed to have found his stride in the second, winning 11-8, Momen returned to the offensive in the third, volleying spectacular winners and slicing in winning drops from the back of the court. 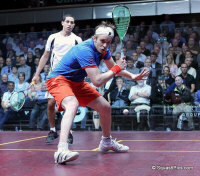 Willstrop again responded to win the fourth 11-3 and led 6-2 in the fifth, but Momen refused to lie down and accept defeat. He drew level at 8-8 and although Willstrop thought he had won the match when Momen was denied a let at 10-9, the Egyptian requested a video review which overturned the decision. 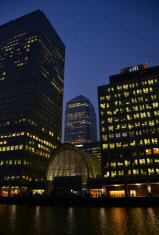 Willstrop, a three-time Canary Wharf champion, had been desperate to shake hands and get out of the door. 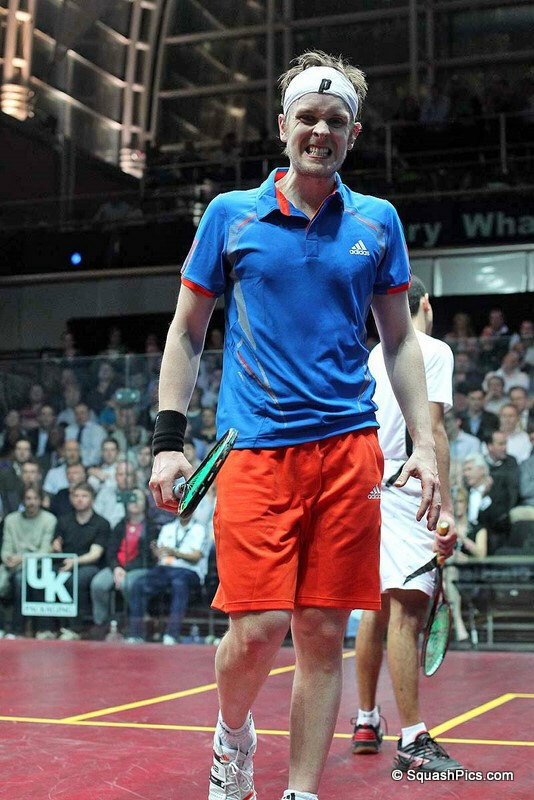 But he was forced to focus again and after a quickfire rally he had clinched his place in the last four. 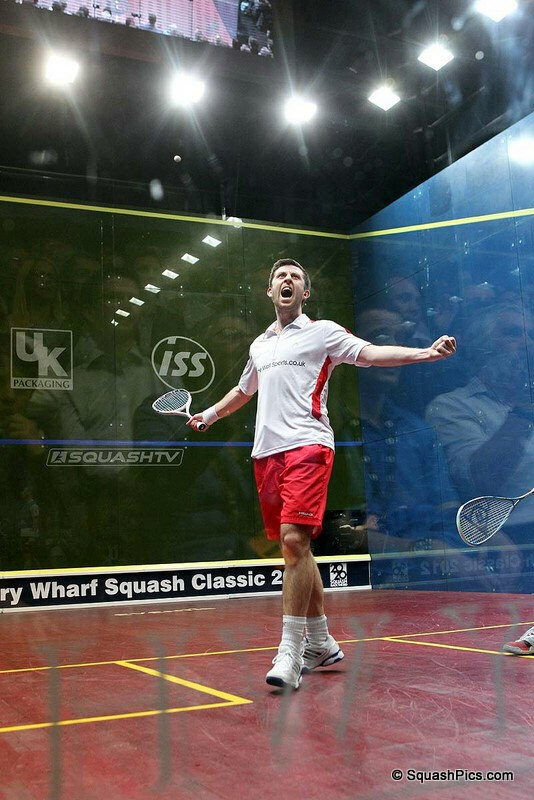 "I’m very relieved to be in the semi-finals. 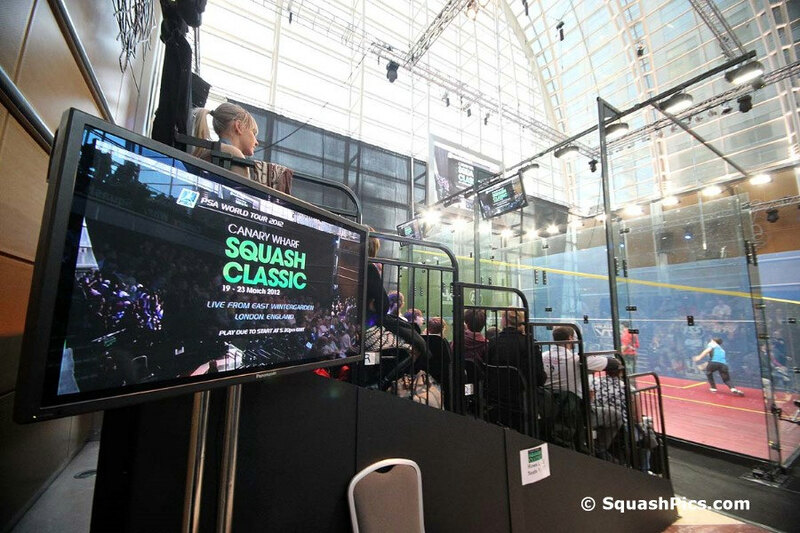 For the second day running I have played an opponent who has shown how narrow the gap is between the top players and those a little further behind. 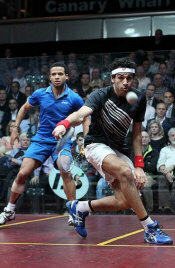 "Tarek is a very dangerous player. He was attacking non-stop and I had to try to find a way to stop him hitting winners. "At times the book project has been a welcome distraction but in tournaments like this I have to focus on being a professional squash player and working hard to protect my number one ranking, which means a lot to me." 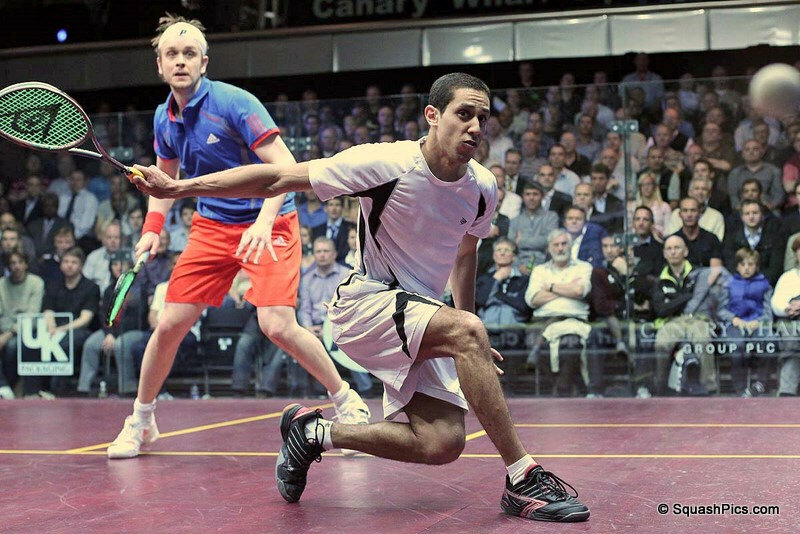 Willstrop faces another Egyptian in the semi-finals. 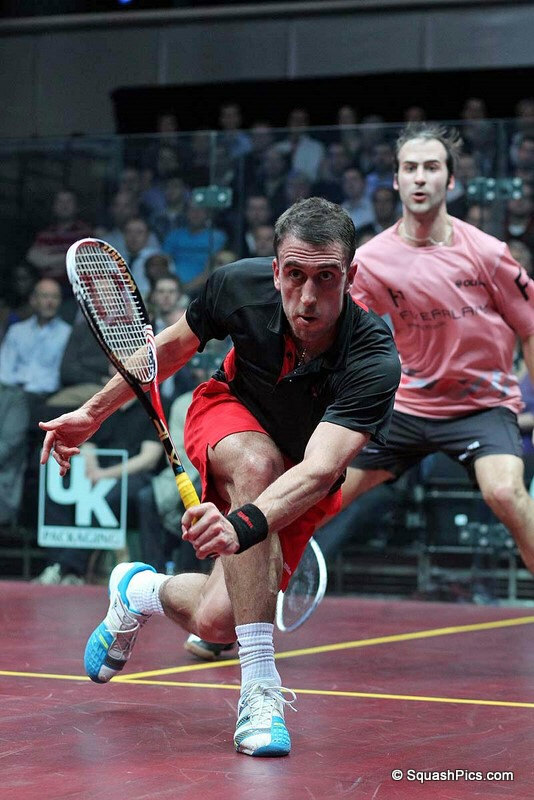 Number four seed Mohamed El Shorbagy powered his way past Londoner Adrian Grant to win inside 30 minutes. 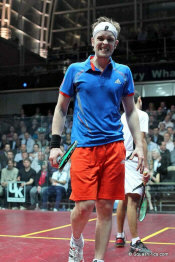 "I am happy to have won both my matches in straight games. I wanted to keep up a fast pace on court tonight and it worked. "I know James has had two hard matches but he is the world number one and knows how to look after himself in these situations. I haven’t thought about tactics yet but I am looking forward to playing him." 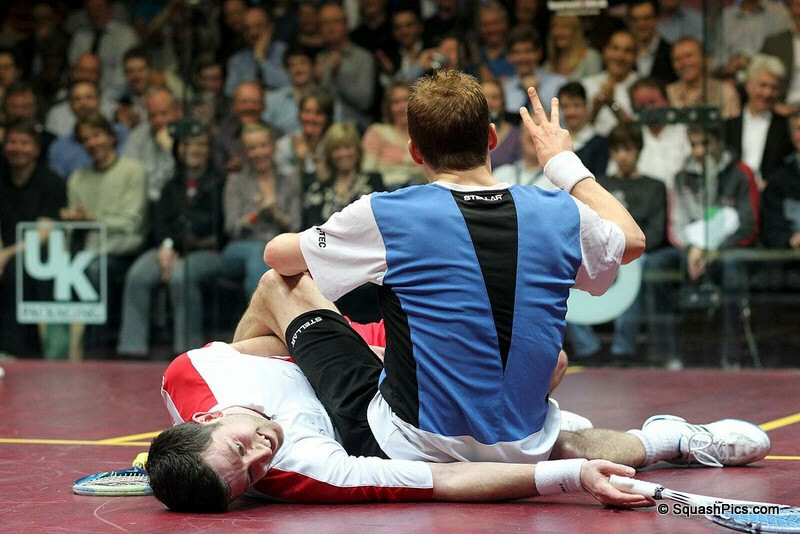 World champion Matthew survived a painful collision in mid-court as he advanced to the semi-finals. 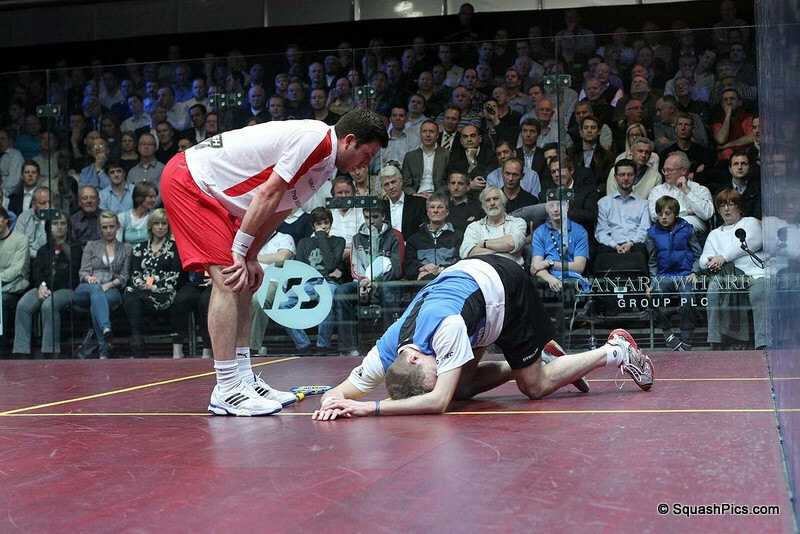 Matthew, who is bidding for a hat-trick of Canary Wharf titles, was knocked to the floor as his opponent, England team-mate Daryl Selby, dived in vain after the ball. Matthew’s shot clinched the opening game but he required treatment to a painful knee before returning to the court. 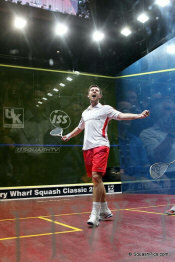 He stepped up the pace to win the second game but Selby battled throughout the third. From 6-5 down, he worked his way to 8-6 up. Matthew drew level, but Selby again got his nose in front at 9-8. However, Matthew’s relentless attack resulted in three crucial points to win the match. 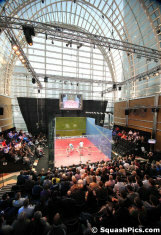 Selby refused to leave the court as he continued to discuss a “no-let” call on match ball with the referee. "Daryl just caught me on my knee at the end of the first game. It was painful for a moment but it didn’t bother me after that. 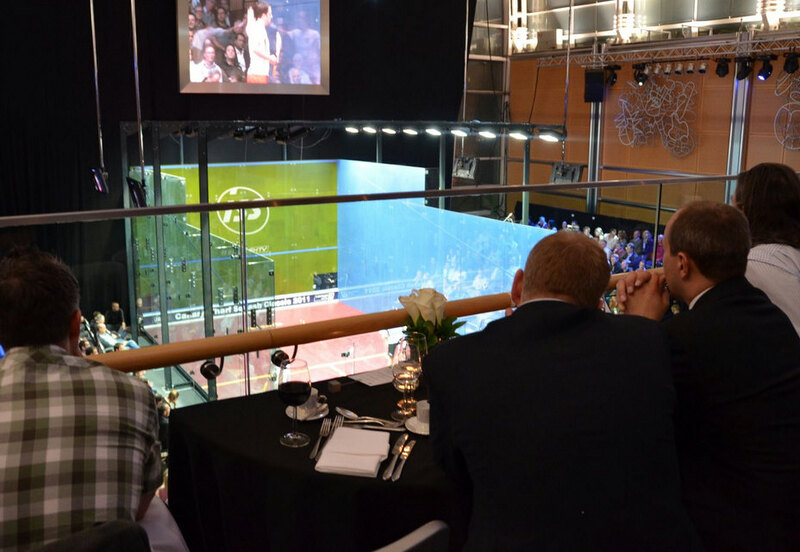 "It was obvious that the crowd were on his side but we are good friends off court. 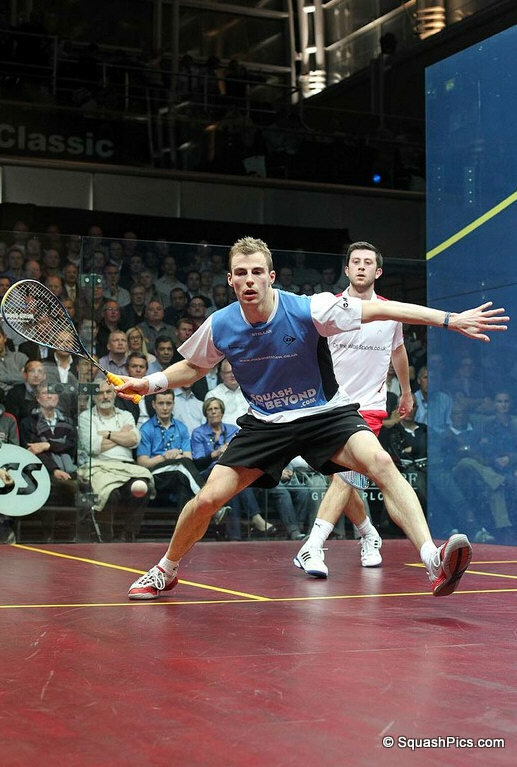 "Our match was as long as James’s five-setter so it shows how intense it was. I didn’t really think about tactics before the match. "I didn’t want to over-complicate things and just wanted to use my experience and instincts to get through the match and it seemed to work." 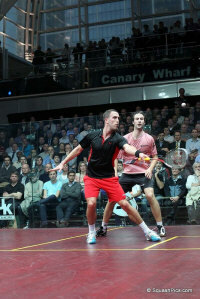 Matthew now meets Peter Barker in a repeat of last year's final after the fourth-seeded Englishman eased past Germany's Simon Rosner in straight games. It was a hard-hitting opening game, with both players driving firmly, with Barker far more accurate and picking off loose balls from the German. 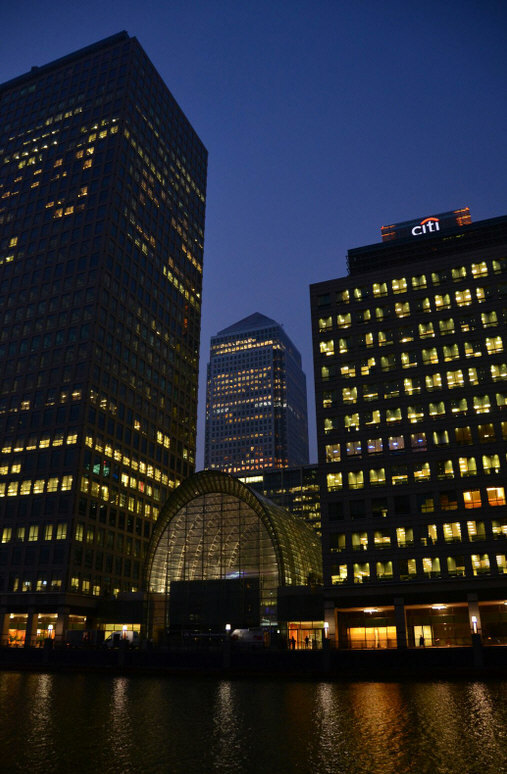 The game finished on a stroke to the Essex man. Barker continued in the same vein throughout the second game and Rosner was making too many mistakes. 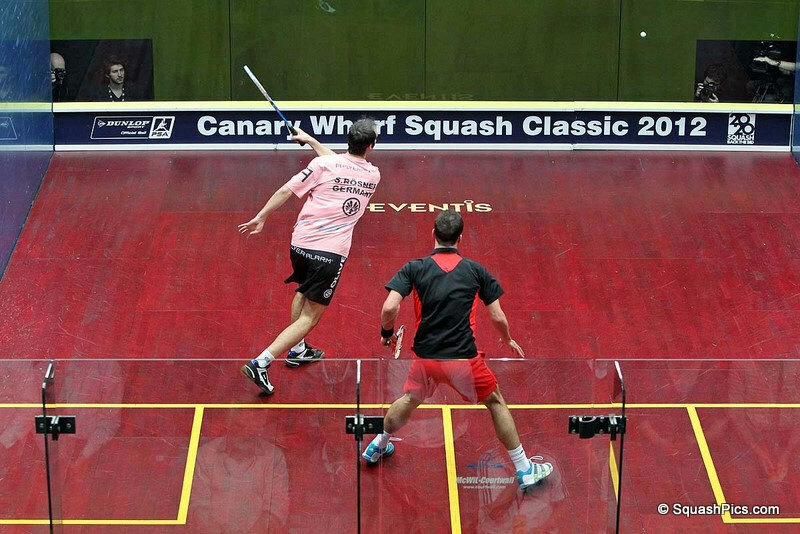 In an untidy finish, he yielded the second game with a penalty stroke and a boast into the tin as Barker won 11-6. The number three seed continued in relentless fashion to win the third game. 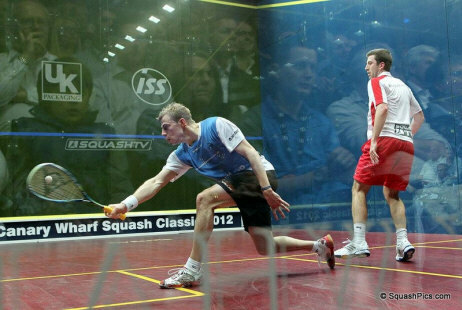 Afterwards, asked how he felt about the rivalry between his England team-mates James Willstrop and Nick Matthew, he answered: “I’m not bothered really. I just want to be up there with them and begin some rivalries of my own. Matthew holds a 14-1 career advantage (18-1 overall) over Barker, while Willstrop leads 4-1 in his head-to-head record against El Shorbagy.